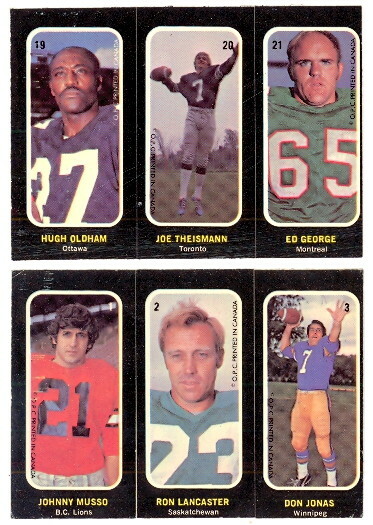 The 1972 O-Pee-Chee CFL Trio Sticker Set consists of 24 panels. The panel is standard card size and is made up of 3 peel-off stickers with a player on each sticker. The backs are blank. Each player has an individual number. These panels were inserted in the 1972 packs. The key panel in the Set is Joe Theisman.